How can your enterprise enhance your IAM capabilities and policies in your IT environment? Your business should treat cybersecurity and identity security in particular as a verb rather than a noun. In other words, your business never “finishes” with its identity and access management (IAM). Instead, you must continually monitor, evaluate, and course-correct your identity security as the network scales and evolves. Moreover, by working to enhance your IAM capabilities and policies, your enterprise can defend itself against continually evolving cyber attacks; allowing your cybersecurity policies to stagnate can open new security vulnerabilities in your digital perimeter. Therefore, your IT security team must make a concerted effort to enhance your IAM capabilities so you can benefit from optimal identity and access management. Every identity in your network creates a node in your digital security perimeter—a potential gateway to your databases and digital assets. Of course, endpoint security provides a vital component to your digital perimeter. However, next-gen EPPs work to deflect threats like ransomware and fileless malware; they can’t defend against identity-based cyber attacks. Therefore, without a full suite of IAM capabilities, hackers can use stolen or cracked credentials to infiltrate your network, disguise their malicious payloads, steal your data or finances, and worse. Only the most advanced IAM tools and policies can provide the necessary visibility into your users’ identities and verify their authenticity. While plenty of enterprises recognize this, they often don’t take the steps to deploy these necessary capabilities. What Can Enhance Your IAM Capabilities? Obviously, we can’t list all of the possible ways your IT security policies can better support your IAM solution. That list would take thousands of hours to research and enumerate fully. However, we hope this list of ways to enhance your IAM capabilities prompts you to consider your own identity security policies. You can extrapolate on these thoughts as you guide your identity and access management into the modern age. The first step to enhance your IAM capabilities is to deploy a next-gen identity and access management solution. Enterprises often continue to utilize legacy solutions when dealing with their users’ identities. Usually, they do so because they feel comfortable and familiar with the user interface and with their current capabilities. However, legacy solutions can’t offer the proper layer of identity security necessary for surviving in the modern threat landscape. Moreover, hackers have developed ways to circumvent legacy identity and access management solutions, allowing them to evade their detection and penetrate the network. Finally, only next-gen IAM solutions provide capabilities necessary for securing cloud environments and third-party users—both of which can create dangerous compromises. If your enterprise plans to undergo a digital transformation, or your solution is over 5 years old, it may be time for an upgrade. Of course, the above subtitle could also read “Upgrade, Upgrade, Upgrade.” In either case, to enhance your IAM capabilities you need to keep up with the patches and upgrades provided by your identity management vendors. Never consider a next-gen identity security solution as set in stone. Any solution worth its salt adapts and evolves as it closes previously unknown security vulnerabilities and increases its threat intelligence. However, your IT security team must take the steps to actually deploy these patches and upgrades. Even a brief delay can significantly increase the chances of an attack. If you truly wish to enhance your IAM capabilities, you need to dispense with or mitigate passwords as much as possible. Passwords represent one of the most dangerous attack vectors in your enterprise. Hackers can easily crack or guess most passwords—not helped by users employing terrible passwords. Also, threat actors can access breached passwords from previous attacks and use them in credential stuffing attacks. Eventually, if a threat actor wants to bypass a password security protocol, they will. While deploying two-factor authentication can provide a stronger layer of security, hackers and insider threats can still find ways to subvert it; for example, hackers can spoof an SMS messaging system designed to prevent password theft. Additionally, phishing attacks can mimic the behaviors of two-factor authentication policies. Therefore, enterprises should instead embrace multifactor authentication as their identity security authentication protocol. The more factors that lie between the hacker and the network, the less likely they are to penetrate it. In addition, MFA can deter inexperienced hackers, forcing them to look for easier targets. Biometrics, Both Physical and Behavioral. Also, your enterprise can strengthen the factors themselves with small changes. For example, if you use passwords as part of your multifactor authentication, you may have a default minimum length of ten characters. Updating to a 12 character minimum can vastly improve both your MFA and your identity security overall. Once again, your solution provider may not automatically make these adjustments without your input. You need to provide that input and show a conscious interest in your identity and access management. Your enterprise needs privileged access management (PAM) to control your extremely vulnerable privileged credentials. At the same time, your enterprise needs identity governance and administration (IGA) to fully enforce the Principle of Least Privileges and comprehensively delegate entitlements. To enhance your IAM capabilities, you need both PAM and IGA fully integrated on your IT environment. Without IGA, you won’t have the visibility into the end user to recognize when they possess permissions outside their job scope; you’ll also struggle in establishing consistent permissions rules across job titles. Without PAM, your business won’t possess the kinds of protections necessary to verify the legitimacy of your superusers; this includes step-up authentication, which triggers more authentication factor requests as users request more sensitive access. Consider PAM and IGA a symbiotic relationship, filling in the gaps in the other, and ultimately working to your enterprise’s benefit. 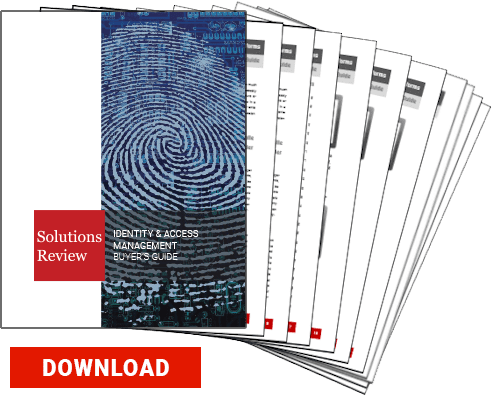 If you want to learn more about how to enhance your IAM capabilities, you should download our Identity and Access Management Buyer’s Guide.